Hickory is an outstanding dog that has impressed me from day one, I can't say enough about him or his pedigree. 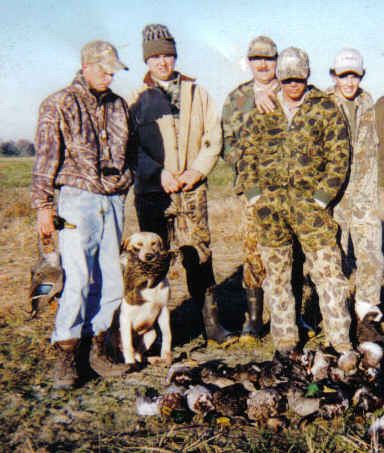 Hickory has proven his self time and time again in the field as an AKC Hunt Test competitor as well as in the hunting field. Hickory lives in the house and loves when we go train. Hickory has shown that he has the drive, trainability, tractability, desire, and love of hunting. His offspring has shown these favorable attuibutes as well. 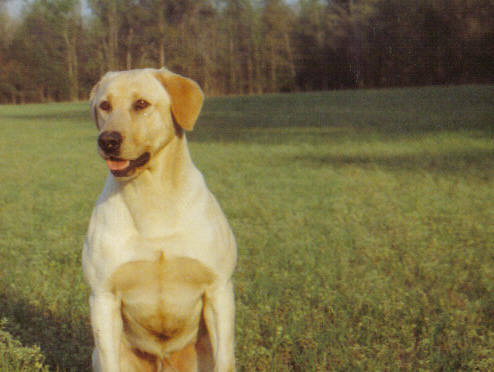 Hickory is a third generation of YELLOW MASTER HUNTERS and seventh generation of true working dogs with field titles. Some of Hickory's puppies are carriers of EIC. Our females that we bred to him are clear so none of the puppies will have EIC episodes. Happy Hunting Buddy...we'll be glad to see you again. Thank you for enriching our lives.